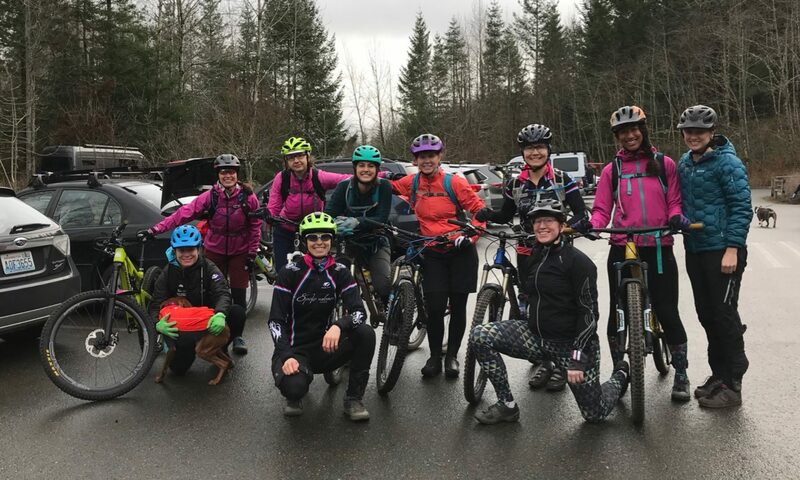 This weekend, Lisa Toner and Rebecca Jensen represented Peterson Racing at the Stottlemeyer 30, an epic mountain bike race held near Port Gamble, WA. 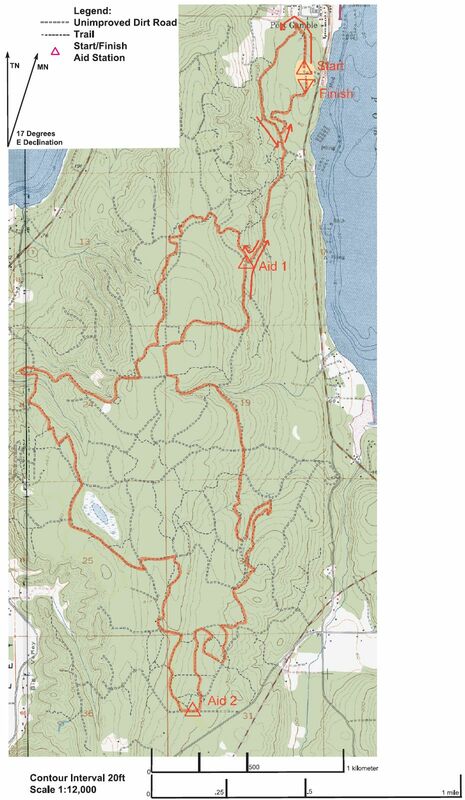 The course included some fire road climbs, twisty technical sections, flowy gravel singletrack, and lots of fun!!! 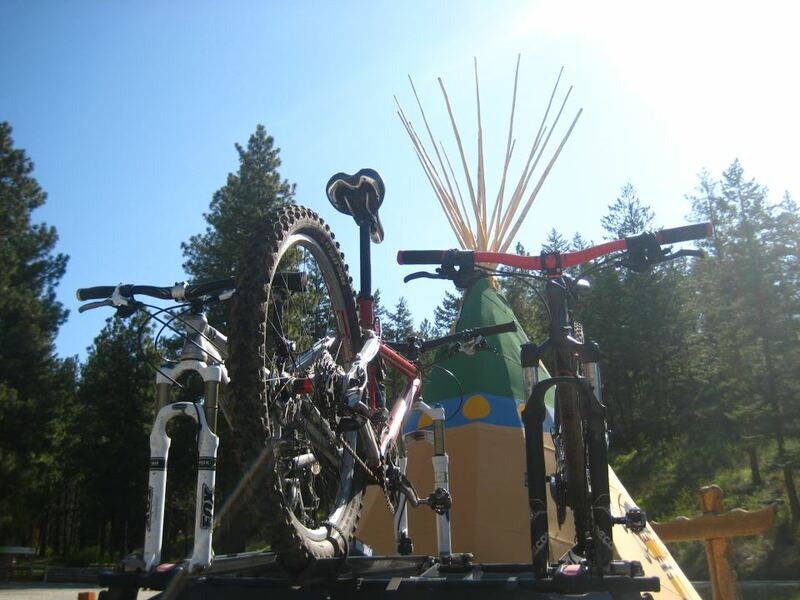 There’s a big grin on my face for a reason: I love sun, good health, and MOUNTAIN BIKING! Winter smacked me with constant illness, terrible weather, and stress over my husband’s up-in-the-air job search. I work with young children and was unluckily sick for 10 out of the first 18 weeks of 2012. I missed seven of my planned races, lost a lot of fitness, and basically stopped training. Things are looking up, though! 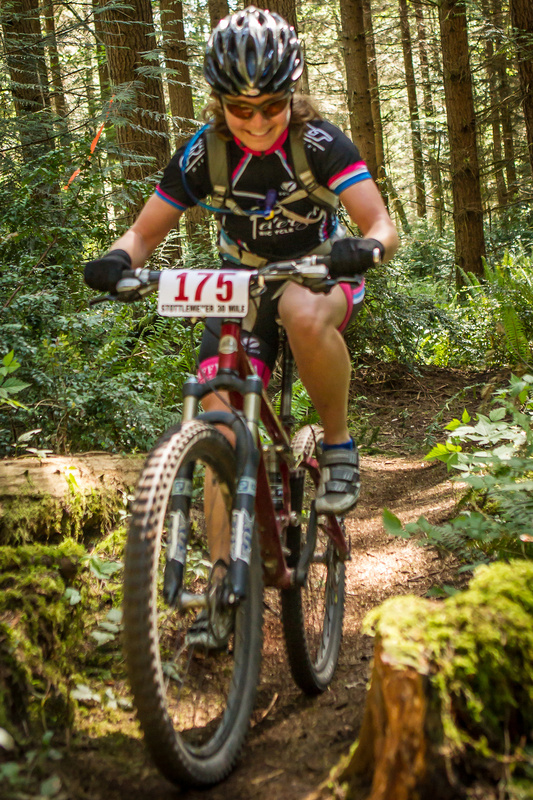 On a sunny Saturday, I did my first long-distance mountain bike race: the NW Epic Series Stottlemeyer 30-Mile. At Stottlemeyer, not only did I have tons of two-wheeled fun on sunny singletrack, I made steps toward a big personal goal: dialing in my race nutrition! With several pro racers in the Women’s Open field, the race started out fast! I have been mountain biking forever, and even tried a few short races last year. I felt strong on the initial climbs, but was unsure of my fitness over such a long race. So I paced myself. About 45 minutes in, I felt my energy levels dropping. After experiencing some nasty blood sugar crashes in other races, I knew I had to get some calories in quickly. I pulled over at the top of a hill to get food out of my backpack. Unbuckle, unbuckle, unzip, fumble for food, try unsuccessfully to unwrap food, remove gloves, unwrap, eat, move food to jersey pocket, chew, swallow, replace gloves, take another bite, replace backpack, readjust CamelBak hose, pedal slowly to finish eating…in this very clumsy process, eight ladies blew by me. Lesson learned–dial in your equipment and keep unwrapped food in your pockets! My competition was out of sight and I had pushed hard for awhile. So, for the rest of the first lap, I eased off and enjoyed the ride, stopping at aid stations to re-stock on Clif and Nuun products and chatting with some really nice fellow riders. I was vigilant about my nutrition, taking a bite every 20 minutes or after every hard climb, which kept my energy levels high and prevented my stomach from shutting down as it has in the past. On the second lap, I began to trust my fitness more. So, I picked up speed. I caught a few racers on the climbs and began to have that good feeling when your legs keep giving even after hours of riding. I finished with a smile on my face, WAY behind the winner, but thrilled at how much fun I’d had! Since I had eaten enough throughout the race and hydrated with Nuun, I was able to start in with my recovery drinks right away. For once, I had a flawless recovery – high energy for the rest of the day, no nap needed, and happy legs the next day. What a difference the timing of nutrition makes! Thanks, sponsors! I’m excited to see how this helps my performance in future stage races. Maybe as I get used to mountain bike racing and become more confident in my fitness/nutrition, I can push myself a bit more. I can’t wait for the next NW Epic Series race, the Echo Valley 30 miler! 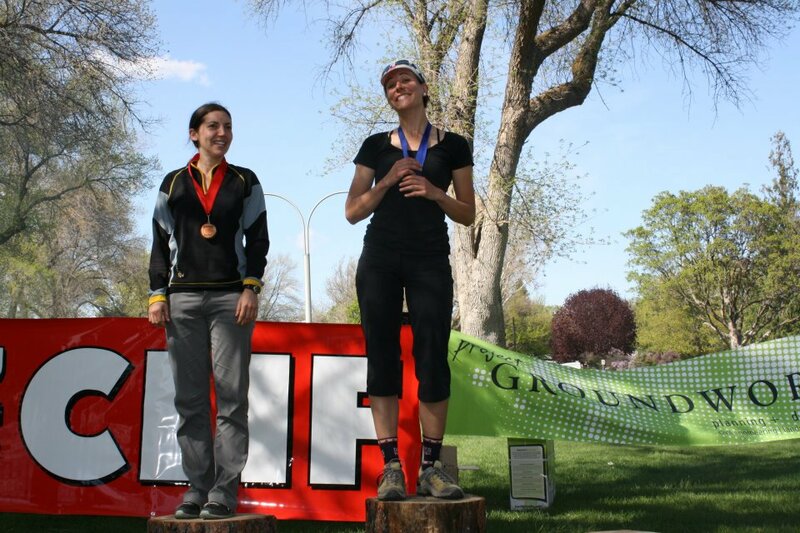 Jessica Cutler is rider of the month for May! 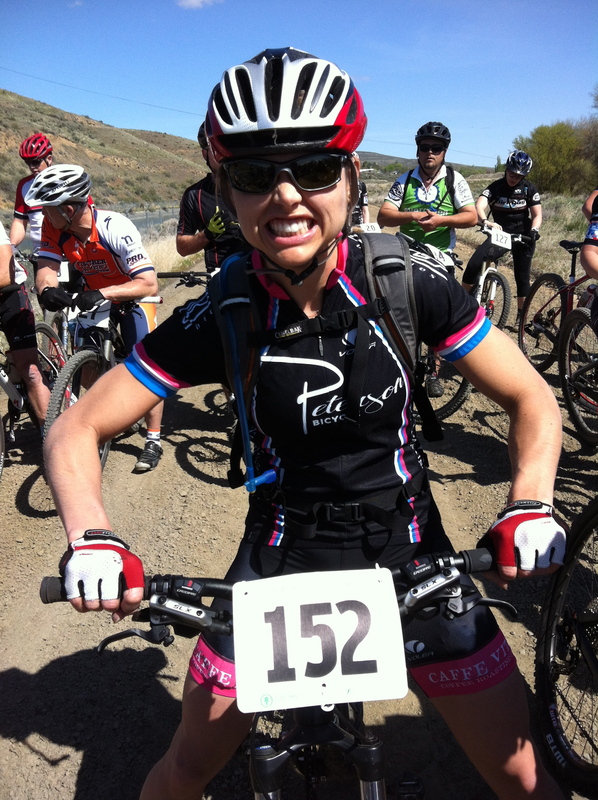 She is our team president and a founding member of Peterson Racing p/b Spokeswomen. A native of Bainbridge Island, WA, Jess is a Cat 1 on the road, a Cat 1 in Cyclocross, and a Cat 2 on the track. Jess has had an amazing season so far. 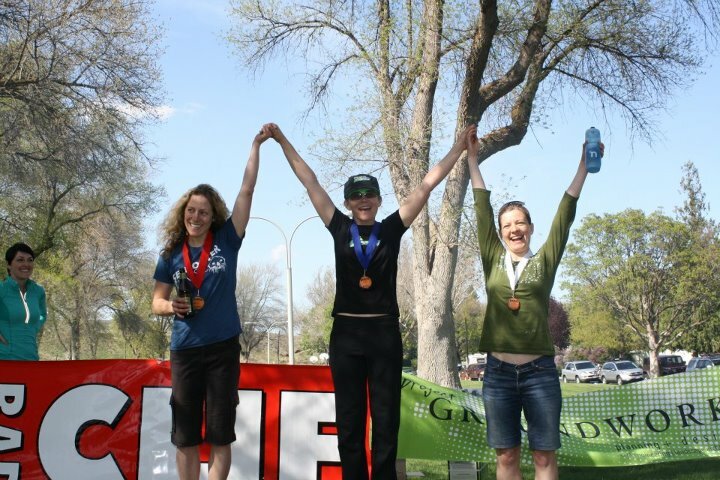 She won every local race she entered, placed 3rd in the GC at the Sea Otter Pro/1/2 stage race, and was invited to guest ride at the Tour de Gila with Primal/Mapmyride, a women’s pro cycling team. The Tour de Gila is held in New Mexico. Its five tough stages include three road races, a time trial, and a criterium. The last race is called the “Gila Monster Race,” which speaks volumes about its toughness! Jess raced strongly in each stage, ending up with 15th overall GC and helping her teammate place 6th! I am so excited to have found such a good team for myself and doubly excited that they liked me enough to sign me right away! Everyone involved with the team is so supportive and kind and the sponsors are extremely generous and committed to supporting our team. There is a huge breadth of experience on the team and I am so excited to learn from and race with these awesome ladies! We at Peterson Racing p/b Spokeswomen are excited to have been a part of Jessica’s journey to the pro ranks so far, and will to continue to support and cheer her on! She will remain our team president for this season and will continue to act as a board member for the team in future years. Since she signed with Primal/Mapmyride in the middle of the year, her new team director will release her to ride for Peterson in a few local races if she chooses and if they consent. You will also see her out at Marymoor for track racing this summer. First, most importantly, she forgot to mention the TEPEE! 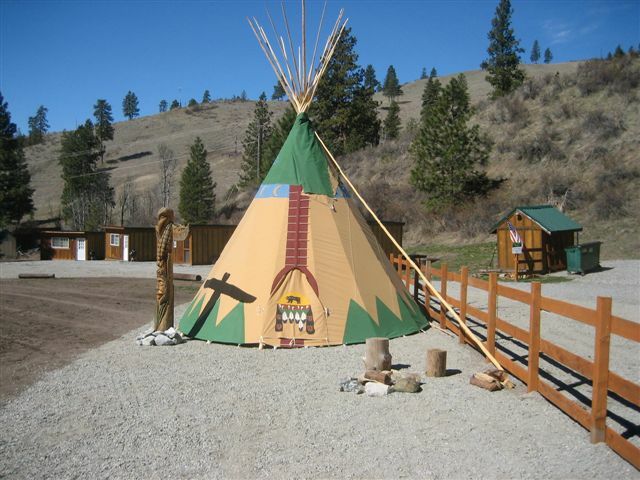 We were the first people ever to stay in Uncle Tim’s Tepee! It was a little chilly, but otherwise we got a great nights sleep, AND it was right next to the start line. Anyway, this was my first mountain bike race ever, and if you know anything about me, you’ll know that I was deathly afraid of mountain biking for at least 7 years. I tried mountain biking in college, but on my first ride, I crashed, and because I had such paralyzing fear after that, I sold my mountain bike and gave up. This year, I bought a new mountain bike, determined to give it another go. I’m not sure what happened this time around, but I’ve gradually gotten to the point where I can ride the thing! Yeah! Not well, mind you, but it’s a start. So anyway, I signed up for the sport category even though I really should be a beginner… but what’s the fun in that?! We started up the first climb, and I was doing pretty well, teetering between 2nd and 3rd place. I even passed RJ for a little bit, and I was thinking “wow! I’m ahead of a real mountain biker! I’d better go fast up this hill because I know I’ll lose a bunch of time descending.” La de da, mountain biking is fun, maybe I’m ok at this! It’s been a long time since I’ve knocked the wind out of myself, and I forgot how scary it can be! For a few seconds, I thought I was dying, but I found my wind and slowly picked myself up off the ground. I finished the rest of the descent timidly, crashing once more, but I decided to continue on to the next lap. By this point, everyone in my category passed me, so my chances of podium were long gone. I just tried to ride as steadily as I could and slowly regain my confidence. As we approached the finish, I passed a gal who started a minute ahead of me. She said “we made it!” and I told her “not quite yet!” It’s true, she had spoken too soon because I crashed again on the steep downhill right before the finish. As she rode by me, she said “what did you do this time? !” She could tell I was a roadie in mountain bike clothes, and it was on grass, afterall. Roadie wins the day, though, because I quickly got back up and finished. Based on overall times, I beat her by 2 seconds! Last in my category but not quite totally last. I’ll take it! The Echo Valley Ralley is the second race in the newly minted 6-race Fat Tire Revolution [mountain bike] Series that is taking over central Washington. Echo Valley, just north of Lake Chelan, is characterized by buff, swoopy trails and sunshine: perfect ingredients for an awesome mountain bike race! The ten-mile lap climbs (and descends) 340meters and is made primarily of single track. Beginners ride one lap, Sport level riders ride twice and the crazy Experts go three times. Last weekend, Sarah, Kelly and I all rode the Sport course. For Sarah, she wanted to move up a step on the podium from her 3rd place at the Beezley Burn just 2 weeks prior. 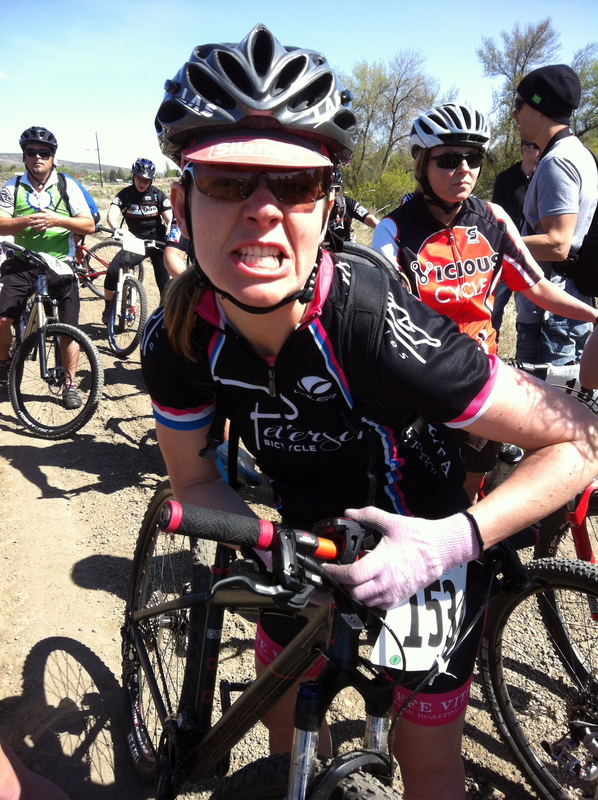 For Kelly, it would be her first mountain bike race ever! Her focus would be to have fun. For me, it was about recovering from a Dead Last finish in the Expert Category at the ‘Burn. That sandy, rocky, bucking bronco course totally schooled me and neither the heat nor my legs were much help either. So this week, I rode Sport– deciding that it would be better for my training as well as my morale, to ride faster rather than farther. Boy, was I glad I only had to ride two laps. As we lathered up in sunscreen, it might’ve only been 68 degrees outside, but MAN! my body thought it was 88. I decided that I’d drink Nuun out of my Camelbak and use the bottle on my bike exclusively for pouring on my head. The start gun went off and up the hot dusty climb we went. I instantly began to melt and my heart rate was furious. I announced my race goal to myself: RIDE YOUR OWN RACE. Then I dumped water on my head. Fortunately, a light breeze began to pick up– and I was amazed at how my power spiked up whenever I got a whiff of it! (I don’t have a power meter, just going by feel here!). By the time I finished the first lap, I had adjusted to the temperature and began to ride stronger. I decided that I was probably in second place, but I hadn’t seen the first place girl in the green jersey since the start. So I continued to ride my own race.. do, doo-doo.. jus’ ridin’ ma’ mountain bike.. la, laa-laa.. HEY!!! I crested the climb and spied a green jersey just around the bend. THERE’S FIRST PLACE!! I had no idea she was RIGHT THERE!! My race senses lit up. There was nothing but descent left in the course and we were about to enter the “whoop-de-doo” section of man-made mountain bike ‘moguls.’ I hit those whoop-de-doo’s HARD, coming up after each just barely atop my bike. My body was in conflict, as I pedaled furiously but tried to keep a flow. I had to go FAST, but I had to stay SMOOTH. Pedal pedal, WHOOP DE DOO!, pedal pedal, WHOOP DE DOO! The green jersey moved in and out of sight. Pedalpedalpedal-WHOOPDEDOOOO!!! We turned onto the last stretch of gravel before the fast, grassy cyclocross-style finish. The volunteer sitting at the corner cheered me on, “YEEAAAHHH! !” I was a ninja about to pounce- she had no idea I was coming. I closed the gap quickly on the gravel, just before the singletrack. I had barely enough space to dive in front of her, but I decided against it as my road racer instincts said to stick to her wheel and bet on the sprint finish. On her wheel, the race immediately turned from an endurance event to a sprint-style cross country eliminator. We rode FAST over the ski hill grass, jockeying for position into every corner. It came down to the final U-turn, I took the inside line just behind her and jumped out of her draft. I wasn’t really sure how sprinting on a mountain bike was going to work, but I was willing to find out.. sprintSprintSPRINT/bikethrow! Just as I was about to regret not diving into the singletrack first, I nipped her at the line!!! The green jersey girl gave me her congratulations and we shook hands. The best congratulations, however- came from the guy I passed on the climb. He was a bit surprised that I continued to ride away from him on the climb and even more surprised that he couldn’t close the gap on the descent either. This is the second time a dude has found me after a mountain bike race to compliment my downhill skills. This makes me wonder that either I descend better than I think (I take myself to be pretty average), or these guys have really got to increase their expectations for women. Whichever the case, it feels good to ride well! That’s right, even though it was Sarah, Tara and Jac’s FIRST mountain bike race ever– they were FIERCE on the start line! Alright, we do play nice. The course was quite different than what we’re used to here on the west side. Near Seattle, trails are made of terrifically tacky mineral/organic soil, dashed with roots and rocks here and there and often buffed and fast. In Ephrata, the soil was dry, sandy and loose, punctuated with LOTS of rocks, and just would not stop turning and twisting. Oy! What a ride. RJ quizzically signed up for the Expert category which required 3 laps. (She doesn’t like to feel left out and wanted to experience ALL of the fun that was available.) Even though she DFL’d, she still came through each lap with a smile on- determined to tackle the bucking bronco once again! The rest of the ladies opted for the Sport category’s 2 laps (good decision! RJ wants to do this next time!). Tara rode smart and kept it within her comfort zone for her inaugural ride. She took a spill on a loose section, but discovered that you really can bounce back up after a mountain bike crash! Meanwhile, Sarah and Jac devoured their divisions. They each went home with nifty wooden medals. Congrats! Next up for the mountain girls: Echo Valley Ralley!